You may be predisposed to having certain oral health concerns because of genetic markers. A simple DNA test can give you an indication whether you are at risk of specific issues, like weakened enamel or gum disease. A quick swab of your cheek gives you and your dentist in Southlake extensive insight to create a tailored treatment plan to protect the health of your smile. Many common oral health diseases are not the result of a single inherited gene defect. Instead, they are from certain gene and environment interactions. The predictive testing for specific issues can help your dentist to quantify your risk using a multifaced assessment. This makes it easier for your dentist to provide personalized preventive care, such as more frequent cleanings to prevent gum disease or fluoride treatments to strengthen the enamel. Although you may have a heightened risk of certain issues, environmental and lifestyle factors play an equally important role. In fact, they may have a larger impact on the health of your teeth and gums than genetic markers. No matter the results of your genetic testing, the American Dental Association recommends you follow specific guidelines to preserve the health of your smile. Brush all surfaces of your teeth and your tongue at least twice a day for 2 minutes each session using a soft-bristled toothbrush and a fluoride toothpaste. Floss in between each tooth every day before going to bed. Eat a well-balanced diet that is limited in sugars. Limit tobacco and alcohol use. Combining the information received through genetic testing with proactive preventive measures can help to combat several chronic dental diseases. A customizable approach based on the results of gene markers allows your dentist to help preserve your natural teeth for longer while also helping you live a healthier life. Dr. Cindy Hsu specializes in the treatment of periodontics, oral medicine, and dental implants. She maintains the highest standard of care to promote your gum health and give your teeth a thriving foundation. Dr. Hsu embraces the latest innovations in dentistry to deliver individualized solutions catering to each patients’ needs. She can help you create a treatment plan to ensure your smile lasts. 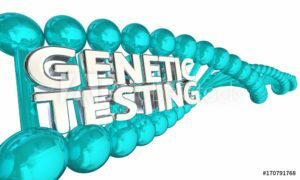 Contact our office today to learn more about genetic testing and your dental health.